As school starts across British Columbia, CBC British Columbia is taking an in-depth look at Indigenous curriculum in B.C. schools. Beyond Beads and Bannock is the mantra of Nella Nelson, a leader in developing Indigenous curriculum who is featured in the week-long series. Listen, read, and watch on CBC Radio One (local morning shows and afternoon drive shows), CBC-TV, and online at cbc.ca/bc. Should an Indigenous-focused course be mandatory for graduation in B.C.? A look back at textbooks used in B.C. 's history, revealing racist and inaccurate portrayals of Indigenous people. Kwalgiulth artist Carey Newman is co-authoring a book for middle school students about residential school. The book is based on his Witness Blanket, an artwork composed of artifacts from residential schools. 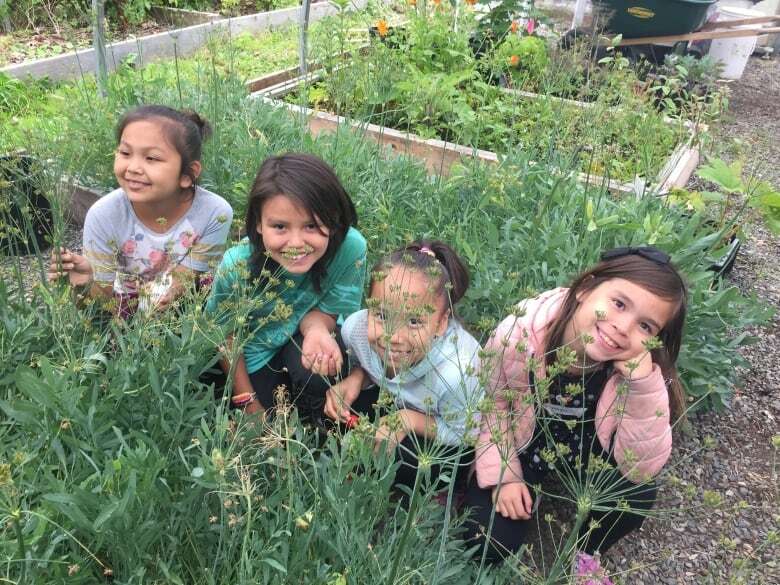 Grade three students at the ȽÁU,WELṈEW̱ Tribal school study SENĆOŦEN through land-based instruction in their own garden. Students at Langley Fine Arts School share how studying Indigenous curriculum transformed their perspective on education and history. What are the challenges for a non-Indigenous teacher to incorporate culturally accurate Indigenous curriculum in the classroom? B.C. 's Minister of Education Rob Fleming discusses the new Indigenous curriculum being used in B.C. classrooms, and responds to the call for a mandatory Indigenous-focused course. A look at B.C. 's first Indigenous choice school, located in one of the most challenged areas of Prince George. Staff have learned teaching kids means building a community. Find Beyond Beads and Bannock across B.C. on CBC Radio One, CBC-TV, and online at cbc.ca/bc.